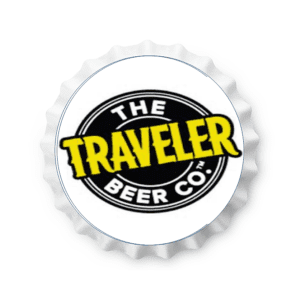 SAM ADAMS ALOHA TRAVELER – (AVAILABLE APRIL THROUGH JULY) This American craft wheat ale made with real pineapple for a refreshingly vibrant drinking experience. Aloha Traveler welcomes you to taste the tropics. Whether you’re coming or going, the succulent sweetness of pineapple is always a welcome treat. Introducing Aloha Traveler Pineapple Shandy, brewed bright, light and delicious with pineapple and citrus. SAM ADAMS CURIOUS TRAVELER – Classic European Shandy that has been brewed for generations. Starting with an American craft wheat ale, which delivers a crisp, light body, fresh lemon and just a touch of lime is added to bring out a bright, juicy citrus aroma and flavor. SAM ADAMS GRAPEFRUIT TRAVELER – The mother of all citrus, the behemoth from Barbados, the original forbidden fruit. It’s big, it’s juicy, and it’s in your beer. Presenting Traveler™ Grapefruit Shandy. Full flavor with the tart tang you’d expect from a lusciously ripe grapefruit, balanced by a smooth, refreshing finish you can only get with a shandy. SAM ADAMS JACK-O TRAVELER – (AVAILABLE AUGUST THROUGH OCTOBER) Representing the darker side of Shandy, Jack-O Traveler is an alluring wheat beer illuminated by the tastes of fall. It strikes a perfect balance between bright refreshment and seasonal spice. Jack-O is made with real pumpkin for a delicious dark–hued, Shandy-inspired beer. SAM ADAMS JOLLY TRAVELER – (AVAILABLE NOVEMBER THROUGH DECEMBER) Jolly Traveler is a cheerful winter beer inspired by the senses of the season. A wheat beer made with real orange, pomegranate and holiday spices, this Traveler is a refreshing libation for the season of festivity. SAM ADAMS VARIETY PACK – CHANGES WITH THE SEASONS… CALL FOR CURRENT TRAVELER VARIETY OPTIONS.